The Law Society is concerned the deficit on a Co Roscommon solicitor's client account may be more than €600,000, the High Court has been told. Declan O'Callaghan, who had practiced at Kilraine O'Callaghan on Pound Street in Ballaghaderreen, has been suspended. The court heard he has undertaken to discharge whatever the deficit amounts to. Lawyers for the Law Society said Mr O'Callaghan had lodged €395,000 to address the deficit although a cheque for €144,000 had bounced. Barrister Nessa Bird said the issue was a problem with the lender not Mr O'Callaghan and it had since been rectified. 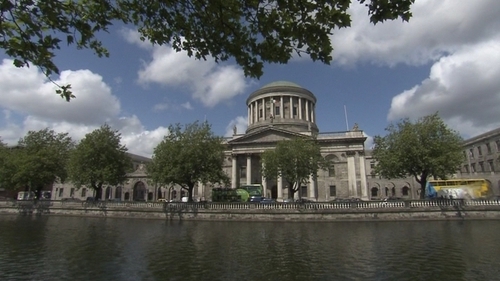 She told the court a solicitor appointed as a joint manager of the practice had identified that it would be necessary to repay around €212,000 to the client account on top of the funds already paid. She said the society was concerned about the source of some of the monies lodged to the client account as they appeared to be loans from people who appeared to be clients. She said the Society needed to ensure such loans were properly vouched with built in waivers. Ms Bird also told the court the Society was concerned further payments may be necessary and there may be a need for a further meeting of the Society's Regulation of Practice Committee. Lawyers for Mr O'Callaghan said he had met every request made of him by the Law Society and intended to honour the proposals made.